Created on Dec. 4, 2012, 9:30 p.m. by Hevok & updated by Hevok on May 2, 2013, 5:01 p.m. 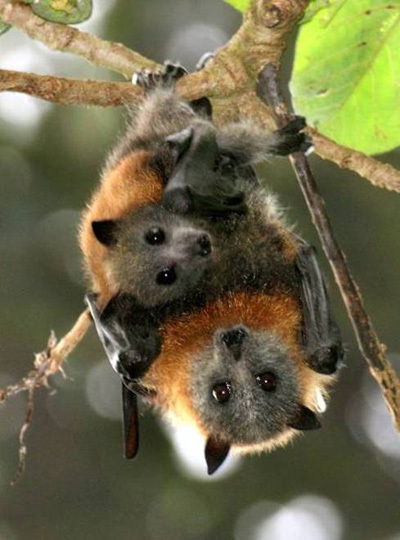 Bats live far longer than expected from their size and high metabolic rate . The long-lifespan of some bat species may arise from very efficient maintenance of protein homeostasis. In relation to short-lived mice, the Mexican free-tailed bat (Tadarida brasiliensis) exhibits significantly lower protein oxidation (carbonylation) and the cave myotis bats (Myotis velifer) displays a trend for lower oxidation. Both exhibit in vivo and in vitro resistance to protein oxidation under conditions of acute oxidative stress and show low levels of protein ubiquitination in total protein lysates along with reduced proteasome activity, indicating diminished protein damage and removal in bats . In bats telomerase activity is present in all examined tissues, but it is greater in metabolically active tissues like liver, spleen, and kidney. Hibernating bats have raised values for spleen, heart, and kidney . In general long-living small mammals maintain tightly regulated lower basal levels of key pleiotropic hormones such as vitamin D, insulin, glucocorticoid and those from the thyroid endocrine system .